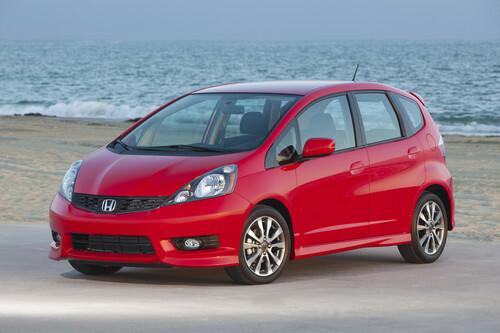 Honda says the Honda Fit will become autonomous with Honda Autonomous Parking. Slowly but surely, technology in cars has advanced to become less and less reliant on the driver, allowing people to park with the push of a button and utilizing sensors to make sure drivers are staying a certain distance from the cars in front of them. The majority of car companies are promising autonomous cars by the end of the 2010s, starting a race to be the first to complete a fully autonomous car. Honda is included in this race, promising their customers that the Honda Fit will become autonomous, but not through the use of sensors—instead, the carmaker plans on using not only a backup camera, but also the security cameras at whatever shopping center you might be parking. Through the use of already integrated security infrastructure, Honda cars will make parking in over packed, narrow parking garages significantly easier. The pressure will be off the driver, allowing them to sit back as the car takes parking to task, navigating smoothly into the ridiculously narrow parking spaces normally seen in shopping centers and busy commercial areas. Though the use of current security systems presents a problem of other brands attempting to park in a lot Hondas are using the program in, the idea springboards the car industry into the future. Who knows—maybe hover cars are next? Brought to you by Valley Honda in Naperville, IL. Valley Honda is proud to be the select Naperville, Illinois, area Honda dealer. For years, Valley Honda has provided a full line of new, used, and certified Honda vehicles, including the Accord, the Odyssey, and the Civic. Customers from surrounding cities, including Aurora, Lisle, and Woodridge, return again and again for the extensive inventory, five-star maintenance, and unbeatable customer service.